Soldeu is situated between Pas de la Casa and Canillo and just up the road from El Tarter at 1800m. The resort straggles the main road from the French border down to Andorra and over looks the ski slopes. Access to the ski area is by the main bubble lift in the centre of the resort. There are some bars and restaurants situated at the foot of the slopes - great for after skiing and traffic free - access back up to the village is by large elevators. All our hotels are located with in the resort centre and close to the main lift. 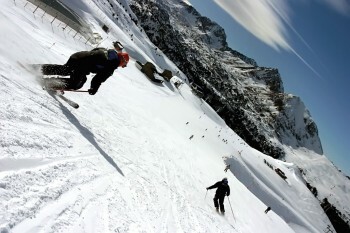 Away from the slopes have a go at snow mobiling, dog sledging, 4x4 snow driving, snow shoe walks or take a bus down to Andorra La Vielle for some serious shopping and perhaps a visit the wonderful Caldea Spa.